We are a professional aluminum circle manufacturer in china, our factory located in famous aluminum industrial base gongyi city. 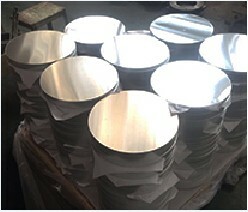 We import advance circle production line, with good advantage in this area. Our circles have been sell In china market, also exported to Greece, mexico, Russia and Asia (Philippine), the feedback of the quality all is good. Material: 1050 1060 1100 3003, cold rolled and hot rolled are all vailable.